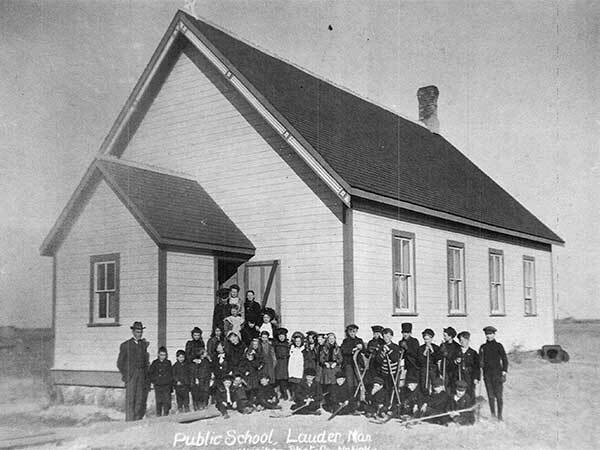 The Lauder School District was established formally in May 1893 and a one-room, wood frame schoolhouse operated in the village of Lauder in what is now the Municipality of Grassland. 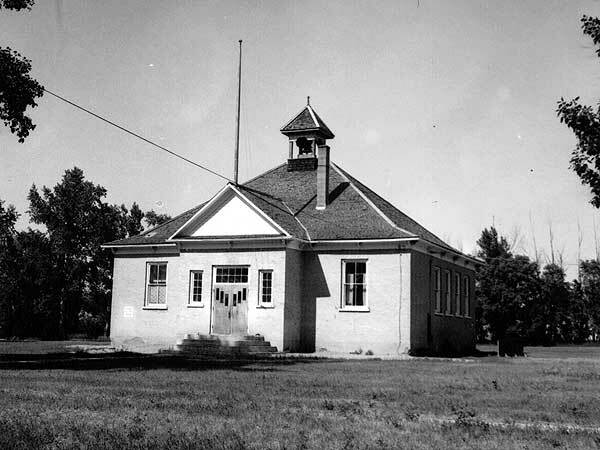 In 1912, the original building was replaced by a brick structure and the wooden school was used as a community hall. 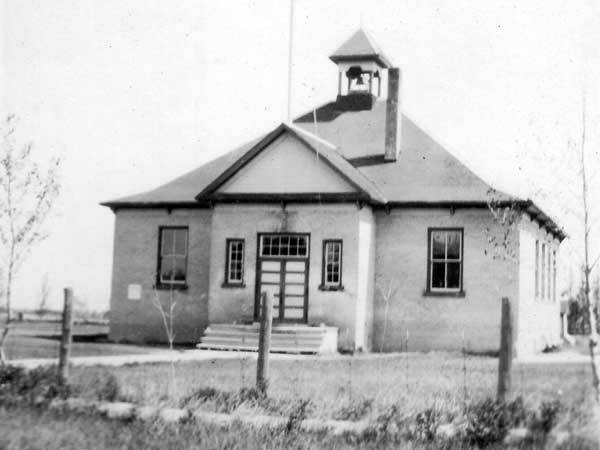 In April 1920, it was consolidated with Grand Pre School No. 714 to form Lauder Consolidated No. 779. At the time of a 2011 site visit, the first wood school and the second brick school were both standing at the site, but the older building was demolished in early 2015. 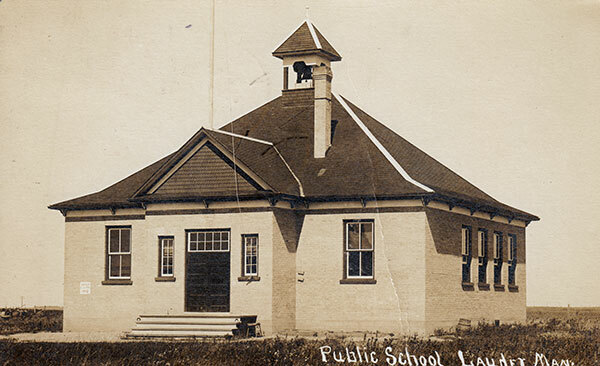 Among the other teachers of Lauder School were Miss Belle Hunter (1893-1894), Clarence C. Stewart (1895), Mr. Belton (1896), Mr. W. J. Anderson (1897), Miss Agnes Brown (1899-1901), Mr. Nicol (1902), Miss Graham (1904), Mr. T. N. Blakely (1905-1906), Miss M. Affleck (1907), Miss B. Maude Bradshaw (1907-1908), Annie Edith Morrow (1908-1912), C. M. Wilson (1912-1913), Olive V. Falconer (1914), Miss G. E. Bride (1914-1915), Miss Olive McRobert (1915-1918), Maisie L. Seebach (1917-1918), Evelyn A. Fisher, Janet L. More (1920-1921), Jean E. Morrison (1921-1922), Alice M. Jordan (1922-1925), M. M. Stewart (1925), Jessie M. Morrison (1926), Florence Fahey (1927-1928), Teressa M. Johnson (1926-1945), Kathleen Chapman (1928-1935), M. McRorie (1934-1935), Stella Annie Douglas (1935-1937), Christina Fraser (1945), Frances Annie Chandler (1946), Clara Alma Beswitherick (1946-1947), Harry Ladobruk (1947-1949), Freda Couling (1949-1950), Sonia Popowich (1950-1952), Irene C. F. Patterson (1952), Laurence Robert Ratcliffe (1953), Martha Myrtle Dennison (1953-1971), Janice Roberta More (1971-1972). Source: The Rise and Fall of a Prairie Town, A History of Lauder by Gordon G. Phillips. GR8461, A0233, C131-1, page 125. 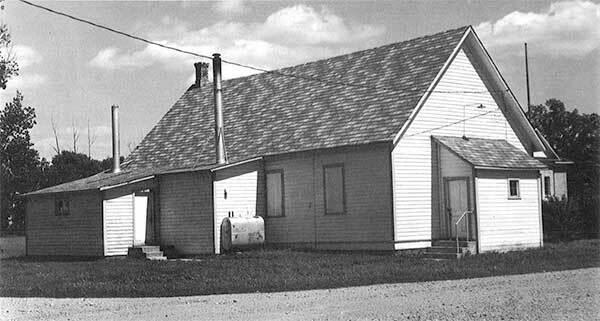 Source: Archives of Manitoba, Architectural Survey - Lauder 5. 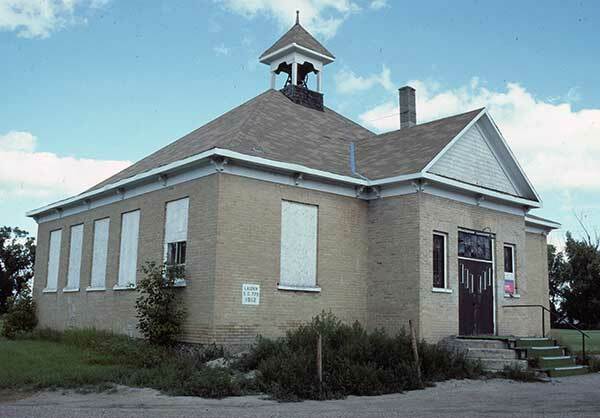 Source: Historic Resources Branch, Public School Buildings Inventory, slide 203. 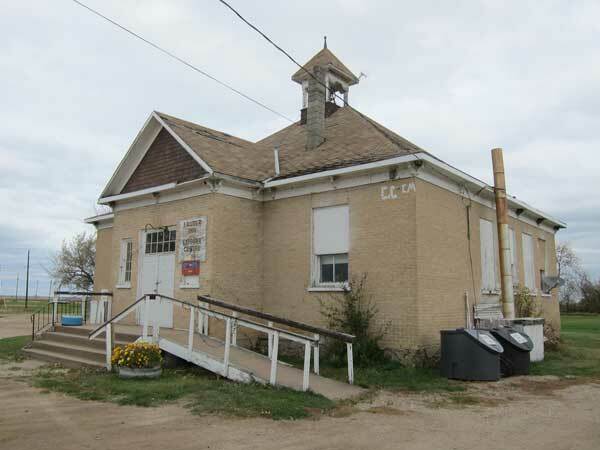 The Rise and Fall of a Prairie Town, A History of Lauder by Gordon G. Phillips, 1970s.